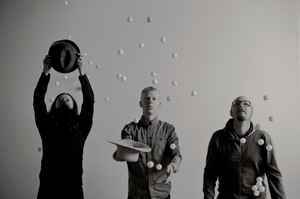 A trio born in 2010, discovered a form and a sound that allowed Toldam’s newly written music to bloom in 2011, and released the grammy nominated debut album “Sunshine Sunshine or Green as Grass” in 2012. The music of various moods and rhythms take the trio from minimalistic acoustic soundscapes to folkish piano hymns to tuneful swings to ballads and avant-gardistic improvisations. The effect is much like bearing witness to the random blue world above us. Drummer Knut Finsrud and bass player Nils Davidsen is completing this versatile and vibrant trio. Whether it’s swinging, mooding, noising or silencing, the interplay between these three shows their stunningly ability to breathe and blow as one musical organism.